Qualia Analytics offers this app for offline data collection as a standard for all institutions with an active research project. This capability will be made available to you by request or when the need has been identified by our research experts (e.g., as an end-result of consultation). Use this download for your Android mobile devices, including smartphones and tablets. Use this download for your Apple iOS devices, including iPhone and iPad. Use this download for your Apple iOS personal computer (Macbook, Macbook Air, etc.). 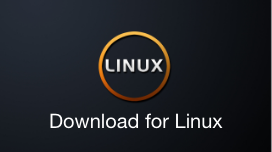 Use this download for your Linux laptop or desktop personal computers.